Claimed your Whaleshare sharedrop yet? 70% sharedrop on BTS! FAO Bitshares users: Claim your WLS! 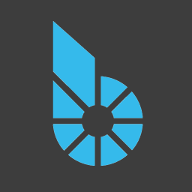 Account creations have been opened to everyone, even if you did not have a Bitshares account that qualified for the sharedrop snapshot on August 1st. If you miss the sharedrop claim deadline then you'll no longer be able to claim your stake! Make sure to claim your sharedrop before then! Make sure you have 1 WHALESHARE token in your Bitshares Account Wallet. Follow the instructions provided in the Official Sharedrop Announcement. The process is the same as 'claiming with a new account'. Re: Claimed your Whaleshare sharedrop yet? 70% sharedrop on BTS! Can anyone explain why whaleshares doesn't have the inflation protection for vested balances that steem has? Why should I *not* claim the sharedrop, withdraw and sell as quickly as the rules allow? AFAIK you cannot powerdown until mid october, and the rate of powerdown is affected by the platform's inflation rate. I'm not sure about inflation protection, do you mean receiving rewards for held stakepower over time? Yes, that's what I meant with "as quickly as the rules allow". STEEM pays 90% of inflation into the vested steem pool, which looks like "interest" on vested steem / steem power. Apparently WLS doesn't do that, so effectively vested WLS are losing value due to inflation. If you don't want the tokens then you're free to sell them as you see fit, I wouldn't let the economic policies get in the way of claiming your sharedrop. I'm sure people would be interested in picking up some cheap WLS on the BTS DEX. I don't think it's impossible to change the economic policies through future hard forks, but steemit doesn't pay interest on steem power neither, you can only earn with your vote weight through curation rewards, no? BTW for anyone hesitating, there's no export/import of BTS private keys to claim your sharedrop - you just need to acquire 1 WLS and send it to the sharedrop claim account with your personal memo attached & you'll get your owed stake within a couple mins on the whaleshares network! This second claim period will run for 30 days and end on October 25 at 23:59:59 UTC. Claims will be subject to a 5% reduction during this second claim period. Example: If your original sharedrop was 100 WLS, you will now receive 95 WLS. There's still a large amount of BTS users yet to claim their sharedrop; this isn't a traditional snapshot/key-import sharedrop, you can't put off claiming for years - act before its too late to claim your sharedrop! I intended to, and tried using a BROWNIE.PTS instead of a WLS since I didn't have one. I couldn't locate a market on the DEX for WLS to get one either. How / where to get the 1 WLS required to register a new account? Trying to locate it in light wallet. I went to Exchange-> Find markets-> put 'WLS' in as asset name, but no data. Then I used WHALESHARE as the name and now I see the data and several other names for whale assets.